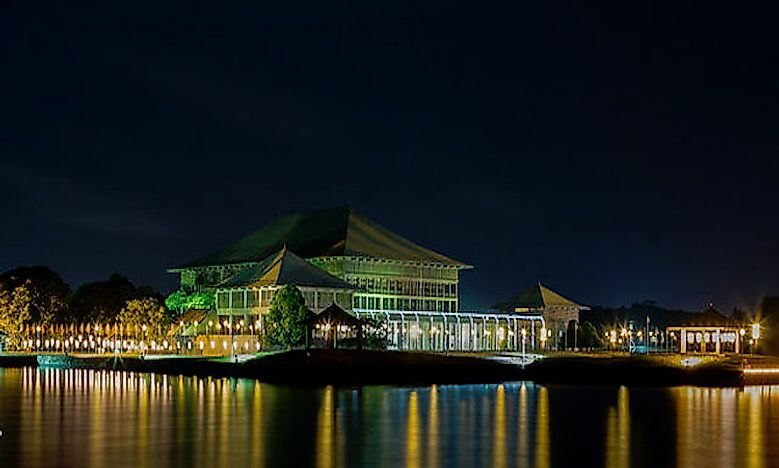 Sri Jayawardenepura Kotte is the administrative capital and seat of the national legislature, while Colombo is considered the commercial and economic center of the nation. Sri Jayawardenepura Kotte is the administrative capital and seat of the national legislature and Colombo is the commercial center of Sri Lanka. Faced with the problem of congestion in the capital city of Colombo the government of Sri Lanka designated Sri Jayawardenepura Kotte as the country’s administrative capital. Sri Lanka is one of the Asian countries with two capitals alongside South Korea. The two capitals of Sri Lanka represent the two largest urban areas in the country, with a combined population of over 800,000. While Colombo is an economic center in Sri Lanka and the greater South Asia, Sri Jayawardenepura Kotte relieves Colombo of its congestion by housing government institutions. Colombo is a port city located in the southwestern part of the country. The city derives its principal significance due to its port, which is one of the largest human-made harbors in the world. It is also a major world port for both passenger and cargo ships.Colombo has a rich history as witnessed in its Dutch and British colonial style buildings. It has been an important port for traders throughout time, from Arab, Chinese, and Portuguese to Dutch. The city became the capital of the British Crown Colony of Ceylon in 1802 and capital of an independent Sri Lanka in 1948. As the chief economic center of the country, Colombo is home to industries such as gem-cutting, chemical manufacture, textile and clothing, cement, glass production, and food processing. Colombo handles most of the country’s foreign trade and is home to the Insurance Corporation, Government corporations, World Trade Centre, and multiple multinational headquarters. Important government ministries and institutions are also located in the city such as the Central Bank of Sri Lanka; President’s House; Ministries of Finance, Foreign Affairs, Justice and Defence; Air Force Headquarters; Prime Minister’s Office and Naval Headquarters. Colombo is the most significant city in Sri Lanka, given its trade and commercial supremacy. Sri Jayawardenepura Kotte is the official capital city of Sri Lanka. Founded in the 14th Century, Sri Jayawardenepura served as the official capital of the Sinhalese Kingdom of Kotte up to the 16th century. The city was then occupied by the Portuguese who fortified the city and later moved to Colombo once overwhelmed by the continuous attacks from the neighboring Sitawaka Kingdom. The city was designated as the new capital in 1977, after the government outgrew the independence capital, Colombo. In 1982, the new parliament was inaugurated in the city and other ministries began filing in. Sri Jayawardenepura is the administrative capital of Sri Lanka, and more government institutions continue to be relocated to the city from Colombo. The city is also home to the University of Sri Jayawardenepura, one of the leading higher institutions in the country. Primarily, having two capitals was set to minimize traffic and population congestion in Colombo and thus minimize environmental damage due to congestion. Having two capitals in Sri Lanka enables the government to counter rapid urbanization and provide better infrastructure facilities. Sri Lanka’s government aims for efficiency in governance, where Colombo is the commercial center and Sri Jayawardenepura is the center of administration.